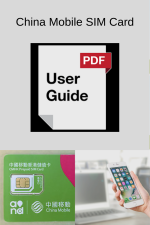 China data SIM card is available now for customers with applicable mobile devices who wish to access the internet using their own devices while traveling in China. We select two series of wireless prepaid data plans, they are the most ecnomical data plans and support use in whole China. China Unicom, one of the top mobile service carriers in China, offers 4G LTE data service with nationwide coverage. With its wireless data plans, you can get local mobile internet connection at low rates. For most devices, this SIM card does not require any APN configuration to access Internet; it’s a pure plug and play. But just in case you may need, you can configure APN as follows. 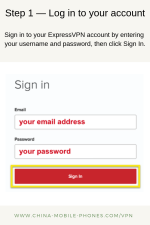 Click on “Create APN” at the bottom of the page. Country: China; Carrier: Unicom（3gnet）. Then click “Create APN”. When “Cellular Profile” page shows, please click “install” on the right of the page. Finally, please restart your phone. a) Delivery of your China Data SIM Card to you in in China: 3-4 days delivery to your hotel/hostel in China to be awaiting you upon your arrival. NOTE: Before the SIM Pack dispatching, we call hotels or other delivery destinations to make sure the pack kept upon you arriving. If you wish to have the China Data SIM card delivered elsewhere, please choose a delivery option below.